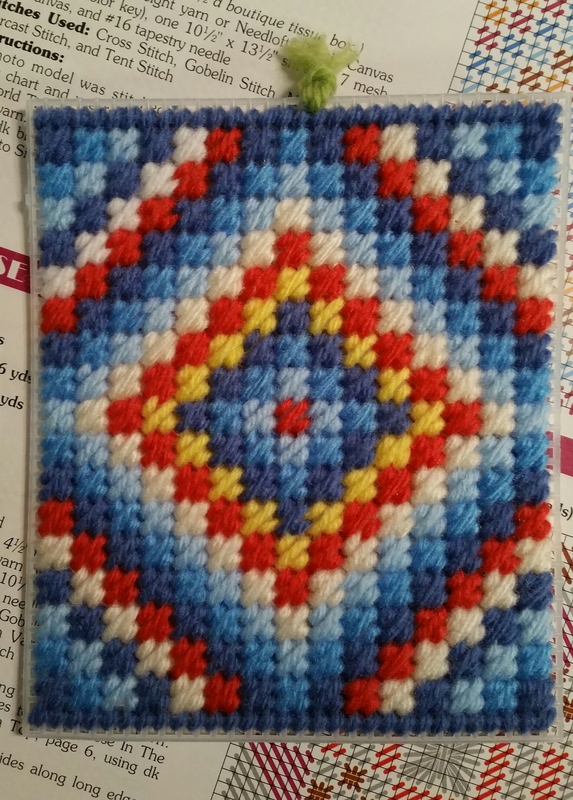 Finished the 4th side for my next tissue box cover. I like this side the best. With the desperate “Hillary or Bust” talking points in the past few weeks, the lame brained “do-over election” seemed to be the most bizarre, but never let an existential threat to Hillary Clinton’s “First Female President” dream go to waste. Look, I warned that she will do ANYTHING to become president and it sure looks like she’s got Clinton, Democratic Party, and Obama machines behind her effort to instigate a coup and overturn a legitimate election. They will fail, because we still have The Constitution. However, in the process, after 8 years of abusing executive power, President Obama appears to be joining the “Hillary or Bust” effort by corrupting the CIA, where “unnamed” officials are floating “intelligence” with no proof. Today there are “reports” that Putin was directly involved in managing the email hacks – no proof offered. To show how corrupt this is, well, these unnamed sources in the CIA are leaking this information to the media, but refused to appear before the House Intelligence Committee this week and answer questions under oath about this supposedly new intel, with direct links to the Russians. It’s a total sham the Obama administration is participating in – trying to manipulate the American people into buying into subverting The Constitution and a legitimate election. Wonder if Clinton campaign sent Todd the “Nuremberg rally” meme during their staged “Trump the fascist” set-up in late February. Blaming Trump for “encouraging” Putin – what a joke! There are “experts” discussing ways to fight Russian “influence operations” today and their ideas are truly frightening – banning RT from broadcasting and policing “fake news”. We need to fight for FREE speech, it is our strongest weapon against foreign”influence operations”. Resist all the Obama administration fear-mongering about Russian influence operations. Don’t let the media feeding frenzy selling Clinton/Dem/Obama machine talking points scare you. We are strong enough to resist “influence operations” without some new government program or censorship. Just think for yourself, question media and partisan”facts” vociferously. Be cheerful and fearless about standing up and defending American principles and The Constitution. It’s simple – an America united on American principles isn’t vulnerable to foreign influence operations. Now I need to get some laundry done and finish the top to this tissue box cover. I have already completed a load of clothes.